This week we'll be taking a closer look at the different kinds of Ayurvedic supplements that may relieve discomfort brought on by menopause. In Ayurveda, several plants are known to effectively counteract symptoms that are linked to menopause. 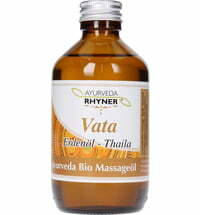 These herbal supplements offer vital support vital in a holistic Ayurvedic therapy concept. Some of these plant supplement will be discussed here. Shatavari, the rootstock of the Indian asparagus, has proven itself when it comes to menopausal discomforts. The plant is a known regenerating agent for illnesses linked to women. It is effective because of its high content in hormone-like substances. Therefore, it effectively balances hormonal deficiency without the negative side effects. Pay particular attention to high quality. Consult an experienced Ayurvedic physician if in doubt. This substance is extracted from the fruits and seeds of amla tree. Amla revitalizes and rejuvenates. It is effective in strengthening the brain and nerves, purifies the blood, inhibits inflammation and boosts the body's defence. 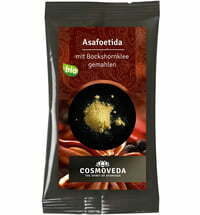 This substance is obtained from the Ashoka tree, more precisely, from its seeds, flowers and bark. In addition to being used for symptoms linked to menopause, it is also beneficial for menstrual pain and PMS. The agent relieves cramps and has a soothing effect. It also has styptic and pain-relieving effects. This plant is also called Ironwood and has anti-inflammatory and antibacterial properties. This medicinal plant has proven itself in terms of psychological and mental imbalances. It harmonizes this imbalance which leads to emotional stability. Jatamansi is used as a tranquillizer in the Indian holistic medicine. In addition to these substances, Rasayana therapy has also proven beneficial. With the help of their balancing effects, several discomforts can be minimized.